You can’t have a relationship with someone’s voicemail. So, we pick up the phone and talk to our customers. We treat people how we like to be treated, with respect and dignity. The business development team has several careers worth of sales experience in numerous industries. We understand small businesses and the challenges that they face every day. We have a finely tuned understanding for the type of effort that is required to be successful and the comparative financial results that you can expect. All of this information will be shared with you in your initial discussions with your business development team members. 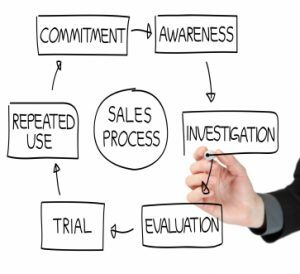 The business development team is made up of business development managers, otherwise known as salespeople, and marketing sales coordinators. The members of the team work together to identify and qualify Cazbah prospects. They are very concerned with making sure that there is a match between Cazbah’s services and the needs of our new customers, as our mutual success depends upon it. The business development team has several decades of marketing and sales experience among them. They are specialists at identifying customer needs and addressing them, by interpreting the benefits of Cazbah to each and every small business they interact with. The business development process involves research into each small business prospect and an evaluation of their business opportunities on the Internet. The sales team at Cazbah are experts in the field of small business Internet Marketing. They are able to quickly and accurately evaluate your small business website, as it currently exists. Many of our prospects have shared with us that they believe that their website is in bad shape when we first meet them. 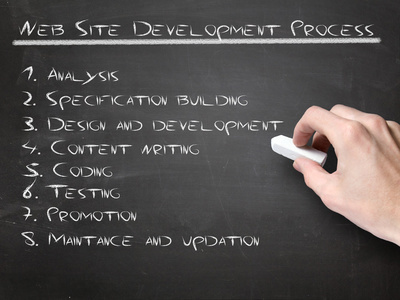 We need to be specific about the areas of improvement for your business on the Web. Having the opportunity to evaluate your current presence on the Internet outlines what will be required to bring your new website to a point where it will generate revenue for your small business. Armed with 15 years of empirical data on 100s of other small business customers, your sales team members can make an accurate, albeit subjective, assessment of the types of financial results you should see with a new dynamic, content specific website. The objective of this part of the discussion is to put your opportunity on the Internet into very real terms; how much revenue should you expect to generate from the Internet? While this information is speculative, it does gives an estimate of the significant amount of sales that you may be missing out on, based on your current under performing small business website. After more than a decade of experience working exclusively with hundreds of small business, we have amassed a depth of understanding for small businesses on the Internet, that is unmatched in the industry. We also have a finely tuned understanding for the amount of effort that is required to be successful and the comparative financial results that you can expect. The production team is made up of seasoned Build Managers, production support specialists, graphic artists and Web developers.Each of these people are highly skilled in their trade. They work as a cohesive unit, pulling together the numerous pieces necessary to make you look good (and bigger) on the Web. They will give you a full understanding of what works with your current small business website and what doesn’t. They will fix what’s broken, replace what’s not working and add functionality to your new small business website. Their goal is to get you a return on your investment, as quickly as possible. The Production team at Cazbah is made up of seasoned graphic artists and web designer and development professionals, all of whom have years of experience working exclusively with small businesses. If you hadn’t guessed by now, we don’t do Big Business. We are singularly concerned with the advancement of small businesses on the Internet. There is no better representation of this fact than our production team members. One of the benefits that you’ll realize working with Cazbah is our ability to give you a bigger presence on the Internet. This means that we are going to make you look ‘bigger’ or more significant in your customer’s eyes. The Production department at Cazbah is where it all begins. There is nothing sneaky about how we do it. We just make sure that we develop a new small business website that gives you a look, feel, form and function that puts you on par with your largest competitors. The production team is going to build you the best small business website you have ever had. Having said that, if you have an existing small business website that you have invested a significant amount of time and money in, which is not uncommon with our new customers, the production department will thoroughly evaluate what you have and will repurpose as much of it as possible. We don’t have a creative ego that needs to be stroked and we’re not going to recommend a time consuming redesign if you’ve recently done that. The production department will give you a full understanding of what works with your current small business website and what doesn’t. What they can fix, and what needs to be replaced. Their goal is to get you a return on your original investment, even though they didn’t have a hand in developing it. They are also motivated to get you through the production process as quickly as possible. You see, the sooner we can get you out of Production and over to our consultants, the sooner your dedicated Internet Marketing Consultant can begin developing and implementing your Internet Marketing plan, and you can start to realize the financial returns from your new small business website. All aspects of your business needs on the Internet are taken into consideration in Production. It’s highly likely that we’ll come up with several suggestions for you that you hadn’t thought of. With hundreds of existing customers, we know what works and what doesn’t. This is evidenced by the fact that the vast majority, nearly 95%, of our customers choose to renew with us year-after-year. All of this experiential data means that you will never feel like a guinea pig. It also means that we don’t waste valuable time on Web design concepts that have no hope of producing any real financial benefit to you. The Production department at Cazbah typically handles up to 40 new small business website builds simultaneously. That means they are workflow experts, ensuring that tasks are completed in a timely fashion, without excuses. At Cazbah our customers praise us for our customer relationship management, marketing, and sales skills. Our Internet Marketing Consultants (IMCs) are experts who will spend the time necessary to understand your small businesses and your challenges. Their job is to be a partner with one goal in mind; to generate income from the Internet for your small business! Your dedicated IMC works directly with you to develop and implement your Internet Marketing plan. All of the elements that are critical to the success of your small business on the Internet will be considered. They step-you-through the process of how to market your products and services to the right audiences – the ones who will buy. At Cazbah relationship is everything! Your Internet Marketing Consultant will spend the time necessary to understand your business, your customers and the challenges, all of them, that you face every single day. If it affects your ability to be successful on the Internet, we want to hear about it. Seriously, we don’t have a stopwatch and we don’t keep track of hours spent on an individual customer basis. Some customers will naturally require more of our time than others. We’re OK with that. After more than a decade of making customers just like you successful on the Internet, we know that it will all come out in the wash.
As with all of the other elements of the Cazbah Total Internet Marketing Solution, your dedicated Internet Marketing Consultant (IMC) is most concerned with your financial success on the Internet. They are singularly focused on generating qualified leads and sales. They are steeped in the Cazbah results tradition. The fact is, all the hits, clicks, page-views, likes, friends and follows are meaningless if they don’t lead to a sale! Your Cazbah dedicated IMC is an Internet Marketing expert. As part of a larger team, they continually re-educate themselves on the rapidly changing tools and technologies that shape online communications. They pursue professional certifications such Google Adwords and Analytics Certified Professional status. Most importantly, they bring that knowledge and skill to your business. All of the IMCs at Cazbah joined us after working for or with small businesses. Each one of them individually understands the challenges that come with owning or managing a small business because, they’ve been there and done that. The IMC team has a broad range of experience including retail, B2C, B2B, manufacturing, wholesale, distribution dealership and consumer and business services. The success of the Cazbah business model is based on your (and all of our customers) voluntary renewal year-after-year. With a retention rate of nearly 95%, Cazbah’s customers often cite their dedicated Internet Marketing Consultant as a key differentiator in making their decision to stay with Cazbah for many years. You can count on our stewardship, integrity, keen insight and years of small business Internet Marketing experience as the basis of the relationship that you establish with Cazbah. Our philosophy is to enable and empower all Cazbah team members to go-the-extra-mile. We’ve built a successful business on this concept, recognizing that in business, as in life, you get out of it what you put into it. So, in our way of thinking, if we do good, we’re likely to get good back. We are delighted to report that we have not been disappointed! Cazbah’s management team is truly world class, possessing the skills and experience to continue to lead the company on its current path of growth and profitability. Decades of experience are represented at all levels of the management team and throughout the entire organization. From business development to production, internet marketing consulting, and product development, the Cazbah Management Team is a group of savvy professionals well versed in all aspects of the successful management of the company. Charles is a Small Business Leader and Visionary. His diverse background working directly for organizations ranging in size from Fortune 500 companies and world renowned Universities to Mom & Pops has given him an extraordinary perspective on business needs and market cycles. Charles has a passion for Small Businesses. Being a successful entrepreneur and an employer himself, he understands the challenges that other small business owners and operators face every day. He knows the truth about the economy; the fact that Small Businesses represent the majority on a multitude of levels including, net new jobs created, gross domestic product, exports and innovations, to name just a few. He has more than twenty-five years of sales, marketing and business management experience. Immediately prior to starting Cazbah in 2001 he served as Director and Senior Staff Member at the Rochester Institute of Technology (RIT) Research Corporation. He also worked as a Worldwide Account Manager at Eastman Kodak Company, Director of Major Accounts at Adams Colway & Associates – Advertising Agency, Manager of Alternate Channels at ACC Long Distance and Account Executive at Frontier Communications. Charles is a graduate of Calvin College (BA – Business & German) and a Veteran of the U.S. Air Force having served with the Tactical Air Command (TAC), assigned to the F-15s of the 36th and 49th Tactical Fighter Wings. Charles is a pilot and he actively participates in a number of adventure sports and wilderness excursions. Mike is Cazbah’s third employee. Over the years he has played a critical role in helping to define the technology portfolio for the company. He is also an original contributing author of Cazbah’s Internet Marketing processes for small businesses. One of Mike’s current responsibilities is the technology and knowledge transfer of all aspects of SEO, Analytics, Ecommerce, and Internet Marketing Services to Cazbah employees and customers. With more than 20 years of experience working for start-up software companies and large technology corporations, like Unisys and Oracle, Mike has a broad range of knowledge about business, large and small, and the software industry in particular. His unique blend of sales, channel development, and strategic partner development has been an asset to his team members and Cazbah customers alike. Mike has his undergraduate degree (BA – Public Affairs and Political Science) from Syracuse University. He is an experienced Fly Fisherman who loves to travel out west to fish the big rivers of Montana and Wyoming whenever he gets the chance.